James L. Hawkins Funeral Home is located just 3.55 miles from downtown Philadelphia, near the Theater of the Living Arts, Kimmel Center and I-76. Serving the South Philadelphia community, the funeral home is between 3 and 5 miles distance from two cemeteries, including Christ Church Cemetery, where Benjamin Franklin and Walt Whitman are buried. The large yellow and white brick building occupies an attractive corner plot on Federal Street. The building houses a spacious visitation room, which caters for small to medium-sized funeral receptions and family gatherings before burial or cremation ceremonies. 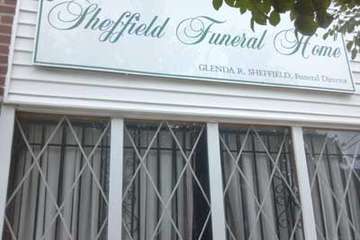 The family-operated funeral home was founded by husband and wife team James L. and Sara Wilson Hawkins, who eventually handed the business over to their daughter Joanne Barbara. She ran the business for 35 years, before retiring and passing the business to the next generation. Her cousin Bruce Hawkins also operates as a funeral director in South Philadelphia. Although no direct burial is offered, the funeral home provides direct cremation as part of their specialized funeral service and helps families with flowers, casket choices, funeral music selection and finding appropriate local accommodations. The prices below are based on the General Price List for James L Hawkins Funeral Home. However, funeral homes sometimes have special pricing packages available, and you should ask if those are available. Please let the funeral director know that you found James L Hawkins Funeral Home on Parting.com to allow us to continue helping families like yours. The funeral directors at James L Hawkins Funeral Home are available to provide you with expert advice.